Happy 107th, Mary! You wear it well, you minx. 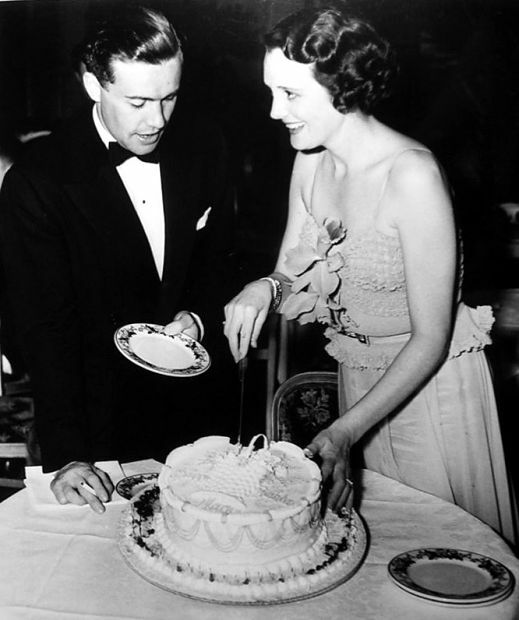 Happy Birthday to Mary Astor, who was born on May 3, 1906 – or so her publicist tells us. To honor dear Mary, we are hosting a blogathon from May 3-10. Please visit the wonderful tributes at the links and on the dates listed below. If you’re able, leave our participants a quick “fan letter”. Our cohostess for the Mary Astor Blogathon is the lovely and talented Dorian from Tales of the Easily Distracted. If you’d like to get even more information on the blogathon, you can visit her blog here. Thanks to our contributors for your enthusiasm and all the Mary love. Yahoo! Looking forward to reading the first posts tomorrow! Thanks! Me too! These are all going to be great. Me too! This is gonna be great! Yay! Let the festivities begin. My post is up and running! Thanks for including me! Excellent! You’re the first one of the day, Ivan. I’m heading there now. Love this fabulous actress and accomplished writer – and last night I had to see “Dodsworth” again just for that final shot of her transformative smile. Yeah for the Blogathon! It was Dorian’s idea, she of Tales of the Easily Distracted. There have been terrific posts so far, and more to come. Yes, isn’t that “Dodsworth” smile fabulous? Sounds like a great line-up. I look forward to reading some of the entries. A fun post! I think a lot of people will be watching for this movie. Wow, Ruth – your and DorianTB’s blogathon has sure garnered a slew of contributors…way to go! I had no idea there was so much love for Mary Astor out there. I look forward to reading the various posts, as I haven’t seen Ms. Astor in many films (and always found her grating in THE MALTESE FALCON – of course, she cna’t help the way that her character is written). I did enjoy Astor in MEET ME IN ST. LOUIS, which looks simply beautiful on Blu-Ray. Thanks, Jeff! The blogathon was Dorian’s idea – she knows a good thing when she sees it. It’s great to see all the Mary Astor love, isn’t it? A remarkable actress. Hey, Jeff, glad to hear from you joining the Mary Astor Blogathon conversation! Even if our gal Mary’s performance in THE MALTESE FALCON isn’t your cup of hemlock (can’t please everyone :-)),Ruth and I appreciate your comments – many thanks! 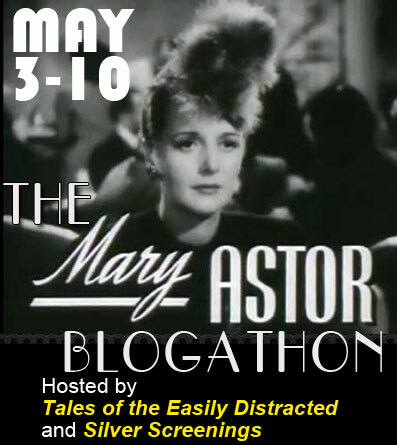 Hope you’ll read and enjoy the great work by all the wonderful bloggers who’ve joined our Mary Astor Blogathon fun! Well Ruth I have to say that this blogathon has been my absolute favorite! This posts were interesting, enthusiastic and extremely educational for anyone who loves Mary Astor or for those who are just now being introduced to her films. A lot of the reason this blogathon was so enjoyable is because of how professionally you marvelous hosts have handled everything. Each step was so simple. Thanks for all the fun, and I look forward to doing it again! Thanks for your kind comments, Paul! The posts were terrific, weren’t they? Admittedly, I haven’t seen many of the featured films, but I’m looking forward to seeing ALL of them. Dorian seized upon the idea a few months ago and her enthusiasm has been contagious. She is a marvelous co-host and, if you’re thinking of hosting a blogathon yourself some day, she would be a great person to have on board. Ruth, Paul, thank you very kindly indeed for your praise and for being part of our Mary Astor Blogathon! It was a labor of love for me and for our own indomitable Ruth, and I’m thrilled that you and everyone else who participated eagerly embraced both Mary and her Blogathon! Thanks, too, for recommending my Blogathon skills for future Blogathons; you’re most kind! Not today, though; it’s Mother’s Day, and I’m kicking back with movies, family, and Red Velvet Pancake Brunch! 😀 Thanks again, and warmest wishes to all!